A great value tool for both new and experienced felters. These two tools are designed to be a "no-frills" introduction to the world of feltmaking, but over the years they have proven to be one of our best sellers for both new and experienced felters. Packed safely secure in a slide lock box to keep it away from small children. The tools are a simple turned wooden handle, large enough to get a good grip yet small enough to be held easily between the fingers, and we've been careful to make sure that weight is kept to a minimum. 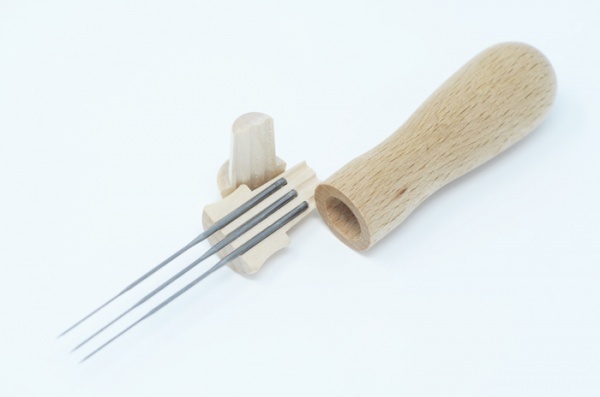 The three needle version can use up to three needles at a time (all our needles except the 19 gauge are compatible with this tool) or you can opt for a single or dual set-up. Simple to use as the bent end of the needles are inserted in the holes in the split plug, the two parts are then put together and pushed into the handle. This locks the needles into place. If the needles slide its because they are not positioned in the holes. For extra safe storage the needles can be reversed in the plug and they will then sit inside the handle. The whole unit can then be locked back in its box. 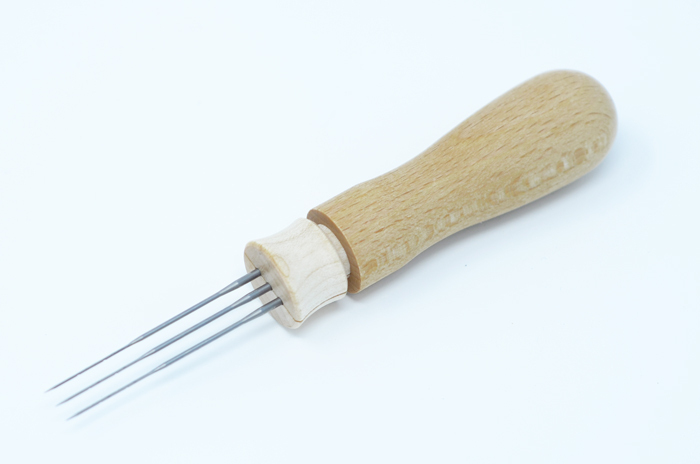 The Three Needle Tool tool is supplied with 3 x 36 gauge needles. 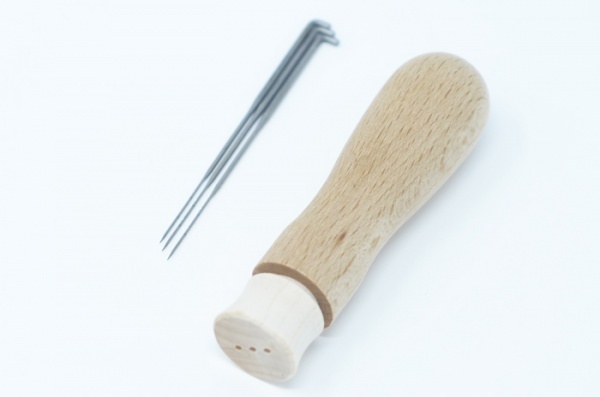 The single needle tool is as described, just holds one needle securely. The Single Needle Tool is supplied with 1 x 36 gauge needle. The 36 gauge is a good "all-rounder" size, suitable for most fibres.